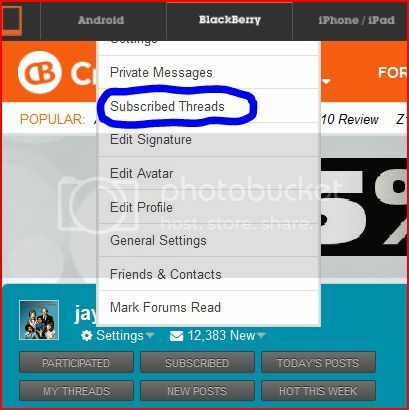 With a plethora of threads to choose from on CB, you will want to be notified when a post is made to your favorites. In order to do this, you will need to subscribe to a thread. And in time, unsubscribe possibly. Here are some simple directions for this. Firstly, you will need to navigate to your favorite thread(s) or simple choose one to which you would like to subscribe. At the top of the window, you will need to find thread tools. Click on the arrow. You will see some menu choices. Click or tap on Subscribe to this thread. When you choose to subscribe, you will have several choices: notification type and folder. Now to unsubscribe, navigate to the thread itself. 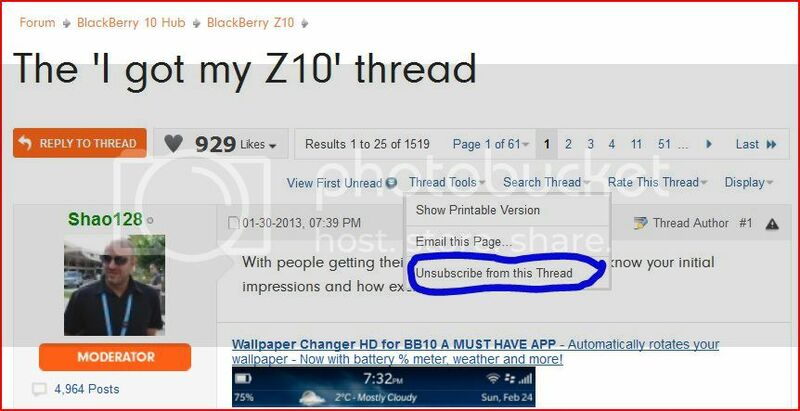 Then you need to go to thread tools and choose unsubscribe from thread. If you want to manage your subscriptions, sign into your account and go to settings/subscriptions. 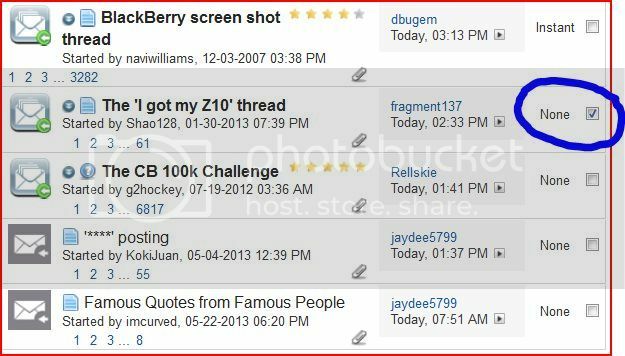 Click on Subscribed threads and you will see a list of all your subscribed threads in your control panel view. To choose a subscription on which to perform an action, click the check box. 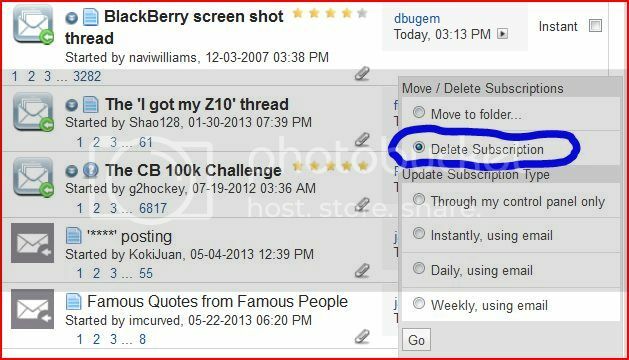 Then click GO and your subscription will be deleted. Last edited by jaydee5799; 09-11-13 at 06:00 PM. Point me towards a solid thread!